Today Donald Trump signed an executive order that will end the tearing of children from their families at the border and sending them to private prisons, where some of them are later trafficked in slave labor, raped by guards, or simply “lost.” Instead they will be detained with their families, indefintely. That means life in prison in a cage for whole families. He has some support from Republican lawmakers as a larger package will include other unspecified immigration “reforms.” One program that slipped by last week is an administration plan to go back through naturalization records and strip people's citizenship for incorrect paperwork. The administration claims that there are “lies” somewhere in all that and people should be punished. This is a fabrication, and I know this fabrication from firsthand experience. Once upon a time under the Clinton Administration, the Immigration and Naturalization Service (INS) a precursor to Immigration and Customs Enforcement (ICE) that we have today, almost deported my 79 year old grandmother over a paperwork mistake that was both inexcusable and their fault. My grandmother, like all my grandparents, came to this country in the early 1920s as an infant. 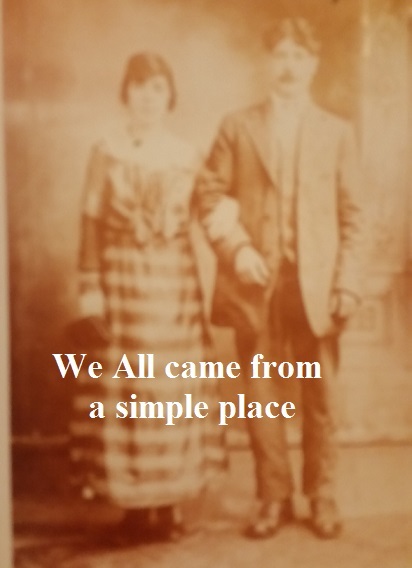 All eight of my great grandparents and all four of my grandparents were born in Italy. I am of 100 percent European descent and this makes me conditionally white, despite my rather tan complexion. For immigration purposes there were quotas in the 1920s of white and non-white legal immigrants. In 1925 Italians were not white and Fins were white. In 1926 it was the reverse. Whiteness is a political category. As this applies to Italians, fascists like Rudy Guiliani are white while labor organizers like Carlo Tresca are not. 1921 and 1922 seemed like a great time to not be in Italy, and so all my ancestors eventually became naturalized citizens either by taking classes, or in my Grandmother's case, turning 21 after being here for 20 and a half years in 1942. By 1942 she was a forewoman on the shop floor of the textile mill in Union NJ that she worked in until 1988. She retired officially in 1984 but her skills as a pattern cutter caused her work to call her in for help until arthritis made it impossible for her to operate scissors. Her father died in 1953 from a broken back he got in a coal mining accident. When I slightly remodeled the family home before sale in 2011 I could still see the marks on the wood floor when where his coffin was during his viewing when by pulled out the staples from the carpet that had gone over it in the 1970s. My great grandmother, Agnes, retired from her job in a pin factory in the late 1960s. As my Grandmother was winning the war of production on the home front (not every Rosie got to rivet) her brothers did what my family does in war which is be good infantry. In 1942 good American infantry did not always have good American generals. The oldest of the brothers, my great uncle Kenio, was captured at the battle of the Kasserine pass in 1943 after participating the Torch landings. This happened because General Fendendall was in the words of another general a “physical and moral coward.” Kenio became a firefighter, retiring in the early 1970s, with a serious drinking problem brought on by the PTSD from his two years in a POW camp. As all this happened, all the brothers earned their citizenship fighting for America in Europe. While they were doing this, Japanese citizens were rounded up and put in camps even if they were born in the US. Both might have had allegiance to enemy nations, yet the white guys got guns and the not white guys got their homes stolen. In the waning days of the Clinton presidency, was Hillary was muttering about superpredators and waiting for it to be her turn, my family wanted to take a vacation in Italy. Only the ladies got to go. When my grandmother went to apply for a passport, she was almost deported. Despite there being a war on, and California being ethnically cleansed, somehow all record of her citizenship had been “lost.” After voting Democrat since Roosevelt's last election in 1944, taking the classes, graduating high school, getting a driver license, sending her brothers off to war, paying into social security since it was invented and burying both her parents on American soil she had apparently been an illegal immigrant since 1922. Needless to say my family pooled resources, engaged lawyers, got it sorted out, and my grandmother was finally made a citizen again in 2001. By that time she was to old to travel Europe, see her ancestors, go to Rome to appreciate art or any of the things that more than six decades of factory labor ought to earn a person. During a time when they were very precise about race, immigration status, who could go where and all matters of national security the lost my Grandmother's paperwork. This was during a time when every person had a ration card, and everything was controlled and counted because of the war effort. If this can happen, under the best of circumstances to my family, it will happen thousands of times to other families in the coming months. People who have done everything they were told to do will suffer and be sent to places that they have never really been. There will be no lawyers for them as this is a program that has been cut. This will happen because of racism and government ineptitude. What is happening in America today is an amplification of the racism that has always been, the withdrawable political concoction that is whiteness, and pure greed to steal what people have honestly built for themselves over generations starting with nothing but a bag of clothes and the need to get away from guys like Mussolini and Trump.